Tuesday, September 25th from 7:00 to 9:00 p.m is the monthly Members’ meeting of the Irving Art Association. This is the first meeting of the new season, and we’ll announce new opportunities for our artists! 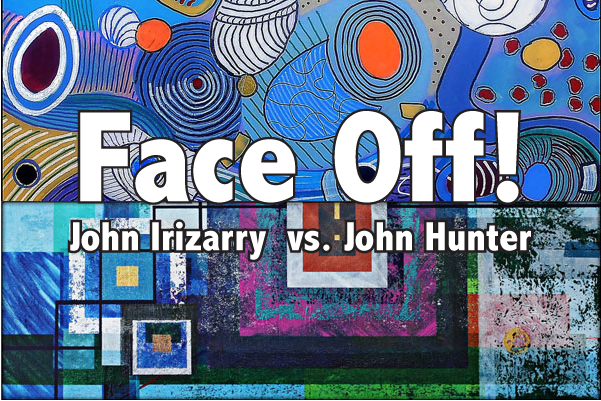 John P. Irizarry and John Lee Hunter will face off, canvas to canvas, brush to brush, and smear, dab, and stroke until the last man falls. That’s right, we’re starting the first meeting off with a blast, mano a mano. The excitement begins immediately following all the boring bits and announcements. Each artist will begin painting on separate canvases, and then every ten minutes, switch and paint on the other canvas, each using the other’s supplies alternately. You won’t know what the final result will be because even the artists don’t know. So come to the September meeting and watch the antics. Doors open at 6:30 pm and the Meeting starts at 7:00 pm at the Jaycee Park Center for the Arts in Irving. Guests are welcome. 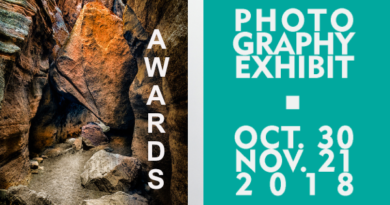 Artists, please bring your entry for the Artist of the Month competition. We will also have a Silent Auction of art supplies and books.